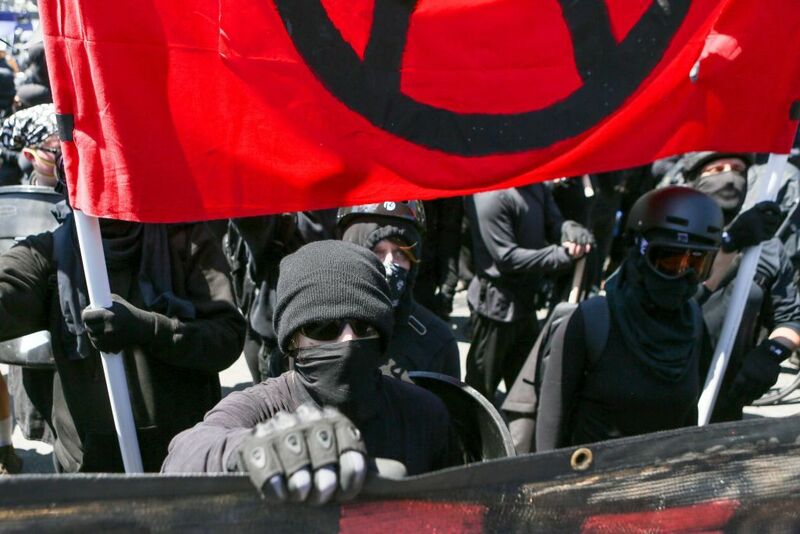 Berkeley Mayor Jesse Arreguin has called for authorities to tackle left-wing violence by classifying members of antifa, the loosely organized group of “anti-fascists” who believe that violence is acceptable in countering right-wing extremism, as a gang. A largely peaceful demonstration in Berkeley’s Martin Luther King Civic Center Park was disrupted Sunday by black-clad antifa counterprotesters, who jumped over police barriers and chased Trump supporters, according to multiple news reports. Berkeley police made 10 arrests on Sunday, using tear gas to disperse black-clad counterprotesters on several occasions, Newsweek reported from the protests Sunday. Organizers had called off the “No Marxism in America” event earlier after strict police measures were introduced, but hundreds of counterdemonstrators and a small group of right-wing protesters gathered regardless. Arreguin said that new measures were required to tackle a violent fringe of left-wing demonstrators. Arreguin said that although he does not support the far-right, tougher measures were required to counter left-wing violence, and he called for nonviolent protesters to take a stand. “We also need to hold accountable and encourage people not to associate with these extremists because it empowers them and gives them cover,” said Arreguin. Under California law, a gang is defined as an organization of at least three persons, with a common name, or identifying mark or symbol, which engages in criminal activity. Criminals who commit offenses for gangs can face tougher sentences in the state. Newsweek has contacted a group identifying itself on Twitter as Berkeley Antifa for comment on Arreguin's remarks. White nationalist violence has become a national issue in the U.S. since the rally in Charlottesville, Virginia, in which an anti-racism activist was killed when a white nationalist barreled a car into a group of counterdemonstrators. Following the violence, President Trump was roundly criticized for failing to single out white nationalists for condemnation, instead insisting that “all sides” were to blame. President Trump and supportive news outlets such as Fox News have since portrayed the actions of antifa as representative of the excesses of the left. A well-known bastion of liberalism, Berkeley’s campus has been the scene of clashes between left-wing protesters earlier this year, with an appearance on campus by alt-right provocateur Milo Yiannopoulos canceled in February. On Saturday, a planned right-wing rally in San Francisco fizzled out after widespread opposition. In the wake of Charlottesville and Sunday’s unrest, Arreguin called for the University of California Berkeley to cancel a follow-up appearance by Yiannopoulos scheduled for September, during an event titled Free Speech Week.